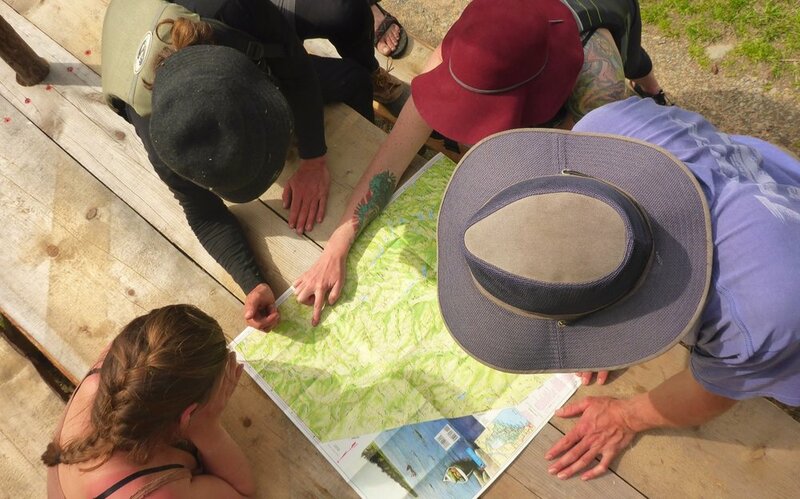 For businesses and organizations near our home base in Portland, Maine we offer local retreats that combine nature immersion benefits with the opportunity to rest, reflect, converse, and connect. With these half-day retreats we aim to support the personal well-being and professional resilience of participants in ways that lead to an organizational culture of compassion and impact. Thanks to the generosity of our program Partners & Sponsors we have subsidies available via our Renewal for a Caring Community fund. Don’t hesitate to contact us to discuss! We are wilderness guides. But we do more than guide people through the wilderness. Partner with us to support your employees and strengthen their work with a custom half-wild retreat where your group meets our guide for a morning or afternoon of movement, reflection, and inspiration in a nearby neighborhood wild space. We will consult to discuss the needs of your group and the best date, time, and location for your retreat. We will send information to share with participants to build enthusiasm and ensure that everyone knows what to expect. We will guide your encounter with times of movement, rest, conversation, and reflection. We will invite feedback from you and your group.